2016 was a huge year for inbound marketing. Is there a chance that 2017 could top it? The last twelve months have brought major, positive changes to the digital marketing world. At Inbound 2016, HubSpot unveiled the freemium version of their product. Free inbound software means more people than ever before will be implementing and using inbound methodologies and digital best practices. Outside of technology changes, 2016's best practices for inbound included deeper adoption of content marketing, creative use of video (R.I.P. Vine), mobile optimization, and more. Despite the fact that inbound is rapidly becoming a universal practice, 65% of marketers still struggle to generate enough traffic and leads. Regardless of how your metrics stacked up in the last year, New Year's 2017 is the perfect opportunity to realign your inbound strategy with what your customers want. Read on to discover the top inbound marketing preditions for 2017 - from 17 inbound marketing influencers. Extra Tip: Want the world's fastest crash course on the state of inbound best practices? We recommend 37 Things You Need to Know About Inbound Marketing Campaigns and Strategies. Your sales team could be your company's best content promoters. With the right knowledge of your resources, they can use your content to convince prospects and win sales. However, there's a bit of a gap between what content marketing is publishing and what's actually being used by sales. Armed with data from Highline, Bessemer states that sales pros need all types of content to close a deal. In fact, the Highline study showed that, "70 percent of respondents agree that sales reps need easy access to content in order to improve the quality of customer conversations, and therefore sales effectiveness." Your organization may need to focus on sales-marketing alignment and content accessibility. With a content wiki or educational efforts, you can ensure your sales team can access the right assets at the right time. If you've ever verbally asked your phone to help you find the closest gas station, you're part of a growing contingent of the population who is using voice search. According to Sentance, the ridiculous growth in people using voice search has changed the way Google engineers rank content and develop their search algorithm. Voice search is about to change SEO in a big way. People speaking, instead of typing, means they might search for "shops that sell high-end rain boots in Seattle" instead of "rain boots Seattle." Your keyword strategy in 2017 should evolve to reflect the way people talk, which is long tail and conversational. If you're feeling a little disorganized, this issue might be reflected in your metrics. Joe Pulizzi states that he's seen many content marketing programs "die" because of workflow or talent issues. In his opinion - and I think you'd be hard-pressed to find an inbound influencer who would disagree - you can't create amazing content experiences in a state of chaos. Talent availability for content marketers is a challenge for many organizations, especially companies that operate in highly-specialized verticals or heavily-regulated industries. The solution to creating the organization and talent you need to succeed may require the help of a freelancer, inbound agency, or content traffic manager. Virtual reality (VR) isn't just for early adopters of expensive gadgets any longer. This formerly multi-thousand dollar technology is now super cheap and popular. Tyson reports that 75% of Forbes' most valuable brands are now using virtual reality for customer engagement, stating, "VR/AR is next." If VR seems like an incredibly far-off reality for your small organization, you may be amazed to hear what some large companies are currently doing. Coca Cola, McDonald's, and Budweiser have all released cardboard packaging that turns into a VR headset as a gift-with-purchase for their customers, according to Entrepreneur. 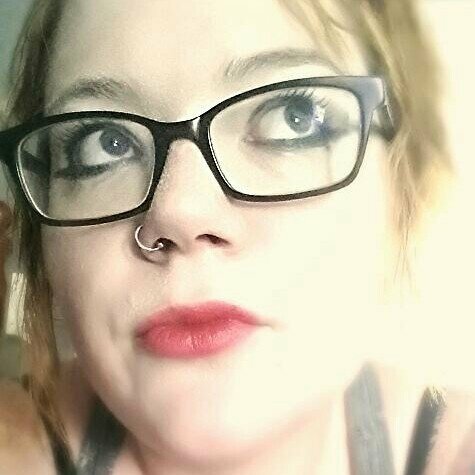 In one of the most amusing descriptions we've ever heard of co-marketing collaborations, Marcellin predicts that we'll see an increased amount of "frenemies" in 2017. Citing the recent artificial intelligence partnership between Facebook, Amazon, Google, IBM, and Microsoft, this CMO believes that collaboration could be key to attention in crowded marketplaces. Whether you decide to partner with a direct or indirect competitor, playing nice may enable you to create better content with half the effort. It can also dramatically expand your audience - that's a win! 2016 was the year that video became a content marketing necessity. However, Newman believes that simply having video won't be an advantage in 2017 - companies will need to raise the bar in terms of creativity and quality. Newman predicts that "considering the success of games like Pokémon Go," immersive video experiences could be the way of the future. 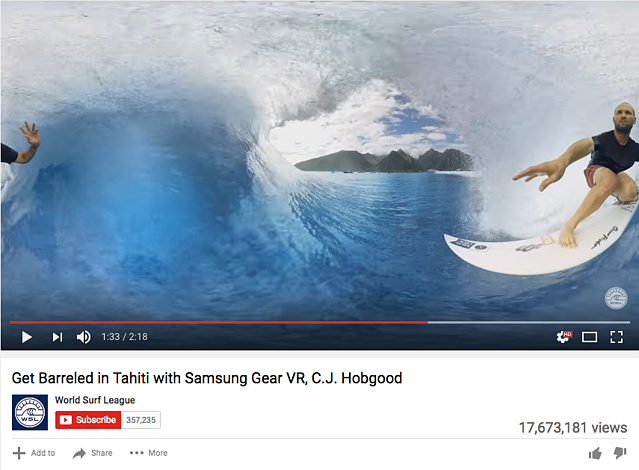 His prediction is probably fairly close to the mark - a 360-degree video of surfers in Tahiti by Samsung has over 17 million views on YouTube. Before your eyes start to glaze over at the mention of artificial intelligence (AI), Dr. Chaffey is really on to something here. We may not yet be in a place where robot personal shoppers are a reality, but AI is already taking hold. If your organization is using chatbots, HubSpot smart content, or an eCommerce recommendation engine, you're using AI-powered tech. Chaffey's predictions for 2017 include increased adoption of user-friendly tech that's powered by algorithms, and we're inclined to agree. Luckily for organizations that don't have a data science team on staff, AI is becoming cheaper and easier to implement than ever before. People have always loved visuals, even long before the advent of inbound marketing. However, it's generally been a SEO and UX best practice to combine images with text. Joei Chan believes that as search engines get more adept at analyzing visuals for information, visual content, and focus around visuals in SEO best practices, will soar. If you're not enthralled with GIFs, infographics, or videos, it's probably time to change your mind. Snap, the social platform formerly known as Snapchat? Absolutely. LinkedIn? Definitely. Some experts believe you should shift your focus, and social media inbound strategy, away from Twitter. While Twitter will probably last for the foreseeable future, there has been an increase in "Twitter fatigue," as of late - the phenomenon that occurs when you're exhausted by Twitter's never-ending stream of bite-sized updates. This certainly doesn't mean you should delete your Twitter presence. It simply means you should think about the ways social media is evolving. Consider channels more aligned with visual story telling, and adjust your content accordingly. Influencer marketing is now much bigger and narrower than it was a decade ago. Using influencers to "sell" their audience on your product isn't unique - think of Lebron James' television commercials for Nike. However, brands are increasingly realizing that it really does work in the inbound space, too. Organizations of all sizes have the ability to connect with the right people. As Litza states, "brands don’t have to chase singers, or actors anymore to seal an effective collaboration." The right influencer for your organization could just be someone with enough clout on Instagram, or LinkedIn, to help you boost your social signals. There's no room for boring email marketing in 2017. Your customers are ready for exciting, interactive email marketing. If you're completely unfamiliar with the term "haptic," that's okay. Buckley defines haptic feedback as the"use of the sense of touch in a user interface, such as a virtual keyboard, whose individual keys provide tactile feedback when pressed." When you mash up haptic and hypnotic you get "hapnotic," which refers to multi-sensory experiences in web design to elicit behaviors. Think about a CTA that changes colors when you move your mouse over it, or other micro-interactions. Microinteractions and built-in feedback are already gaining steam in the web and growth-driven design realms. Buckley's prediction is pretty darn likely to come true--plus, you'll sound super smart if you use the word "hapnotic" in conversations. But can you implement hapnotic feedback without a massive web design budget? Actually, you can. Check out What Does Growth Driven Design Mean? Your prospects don't think twice about jumping from app to app on their smartphones to check email, update Facebook, or order some dinner. Brands are increasingly growing wise to the way people today interact with technology, and creating "omnichannel experiences." Newton's examples of omnichannel experiences in the wild include push notifications to a mobile device when a consumer abandons a shopping cart on an eCommerce app. In a world where people draw little distinction between platforms and devices, your brand should work to create a comprehensive experience. If you've been considering adding a whitepaper or eBook to your content strategy for early 2017, don't scratch the idea off your list. There's no question that video rules, but the value of long-form content isn't diminished. Abaza is a firm believer that the art of writing isn't dead, and companies that provide substance can win with content that's 1,500-2,000 words or even longer. While each and every blog you publish doesn't need to hit 2,000 words, ensuring that you're delivering substance is going to matter even more next year. If you've created B2B buyer personas, that's a good start. However, does a single persona really reflect your customers' buyers journey? Dobrovolsky writes that, according to research, most B2B buying teams involve 5.2 people. Inbound marketers need to get more sophisticated about engaging with the "mobilizers" within these groups, which she defines as the people who build the case internally to their colleagues. Understanding who your mobilizers are and what they need to sell their boss on your product could really bring your persona-based inbound marketing to the next level. If you haven't been paying close attention to SEO best practices when publishing to your website, your SEO could be suffering. Young states that up to 50% of websites have duplicate content issues, which can result in a Google penalty if they aren't solved. Fortunately, performing a content audit to get your evergreen articles search engine-friendly could make a huge difference. In case you're wondering, yes. A content audit performed manually is exactly as tedious and time-consuming as it sounds. However, with a sophisticated content management system (CMS) like HubSpot, recognizing SEO errors on your own website can go much quicker and more painlessly. As Barber points out, "15 years ago, it was pretty easy to get found, run ads and get clicks. Even email marketing was an easy way to get opens and attention, because people were really enjoying the novelty of email. In the early days of inbound, you didn't have to be very good, because it was the first time people had experienced [web marketing]." Today, the tides have shifted "exponentially." More brands create the right types of content to answer questions and solve problems. Barber predicts that people are going to become "leery" of content marketing, just like they got used to television ads, print advertising, and other forms of "outbound" marketing. This doesn't mean we'll see a total revolution in best practices. Barber predicts that success will involve going "deeper, narrower, and further than your competitors" on every type of content you create - from web pages to emails. What's Really Ahead for 2017 Inbound Marketing Trends? Could 2017 bring crazy advancements in inbound marketing, like the sudden death of Facebook or ubiquitous adoption of virtual-reality? While anything is certainly possible and no influencer can actually see the future, it's a lot safer to bet on a 2017 where high-quality written and visual content, omnichannel experiences, and great web design rule. What are your inbound marketing predictions for the next twelve months?